Photographs & details of what you can see. 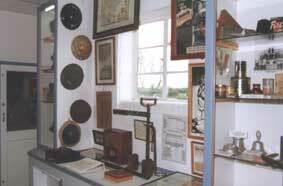 The Museum was formed in 1970 with the aim of preserving the aviation heritage of Kent, with particular emphasis on World War II. Also to promote and develop an aviation awareness in the general public, raising money for RAF and other associated charities. Situated on Lashenden Aerodrome, the only wartime Advanced Landing Ground still in use in the country, the Lashenden Air Warfare Museum is one of the leading "Amateur" museums in the UK. 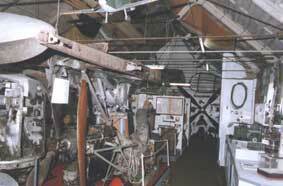 Museum exhibits range from a 1911 Farman biplane propeller, through to items from Falklands and Gulf Wars. 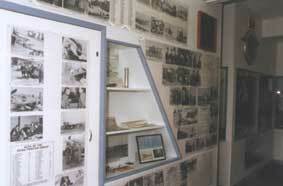 This building houses the First World War display as well as many items from the Second World War. 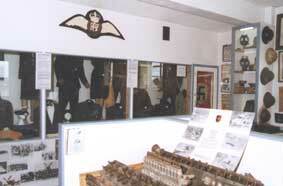 There is a display of Uniforms on show which range from Luftwaffe and SS tunics to a full RAF Irvine flying suit. There is also a selection of photos of men and aircraft of the 354th fighter group which operated from Lashenden in 1944. On display are many engines and artifacts from aircraft which were shot down during the Battle of Britain with the story of their last combat. Also included in this building is the story of Maidstone during the battle. 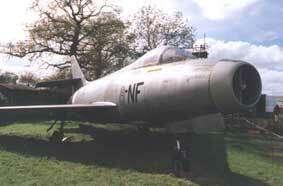 The museum has several aircraft on display, and these include two original German aircraft. U boats for observing convoys. 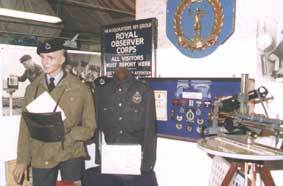 There are also displays on The Royal Observer Corps, the men who were made prisoners of war, and various large parts of aircraft together with the stories associated with them. 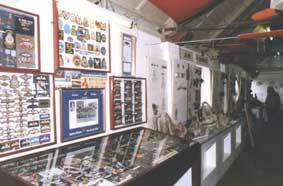 At the far end of the museum there is a souvenir, gift and bookshop which stocks an extensive range of military and aviation related books. The other German aircraft at the museum is a piloted Fiesler Fi 103 R4 flying bomb. 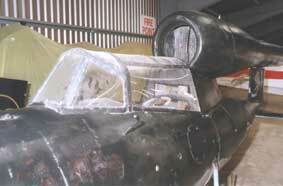 Fund raising has commenced to pay for sending the Fiesler Fi103 R4 to Germany for restoration. Special visits are available to take a close look at the Fi 103 R4 together with other hangered aircraft. A minimum donation of a pound per person is requested with funds collected going towards the cost of this project. As well as having several other aircraft on display in the grounds Lashenden airfield is often a hive of activity with parachute jumps and aerobatic displays often taking place.